Fredrick Bailey remembers the white bucket he used to set out on the porch to catch rainwater, a recurring task when bills went unpaid and the utility company cut off the water supply. He cleaned himself and washed his clothes after school with the harvested water. Raised in rural La Grange, Georgia, about 60 miles southwest of Atlanta, Bailey often returned home to a house with no electricity and sometimes with no food. He attended several different elementary schools in his early years, as his father and stepmother moved from place to place. Finding dinner was enough of a challenge, never mind schoolwork. Bailey acted out in class and sometimes stole food to overcome harrowing hunger. One day in middle school, one of Bailey’s teachers realized he was struggling to see the blackboard. She referred him to a program called Communities in Schools. The national nonprofit organization, designed to be a dropout prevention program, situates itself on-site in schools and uses local affiliates and site coordinators. The site coordinator, an adult not directly affiliated with the school but still within its walls, acts as a mentor and a one-stop resource for students, connecting them to all kinds of social services and programs they might not otherwise know about. For Bailey, meeting Cynthia McWhorter Bryant, his site coordinator, changed his life forever. 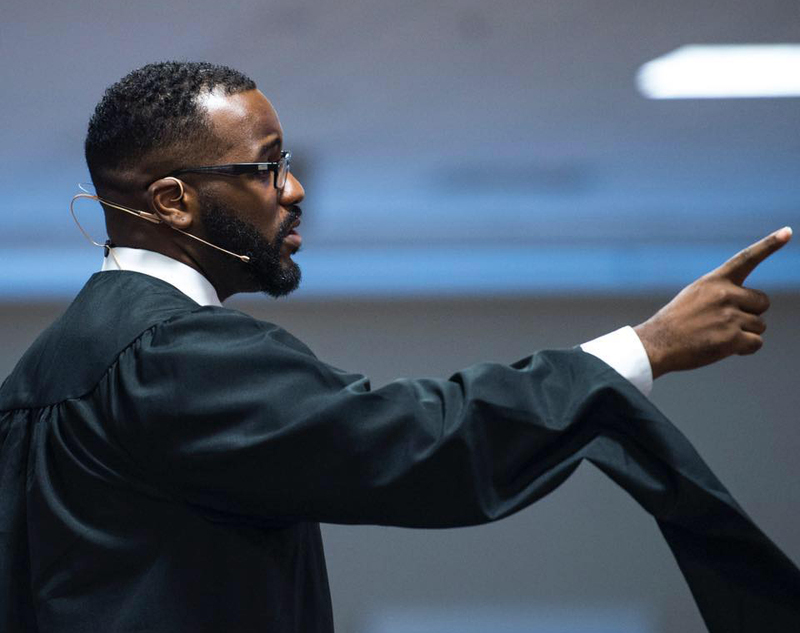 He got glasses, behavioral counseling, food vouchers and health insurance as a result of McWhorter Bryant connecting him to various programs and resources. He started attending an afterschool program, with a bus that would take him home at night. Eventually, Bailey even moved out of his home to live with the bus driver, Jerome Cofield, and his family for the remainder of high school. 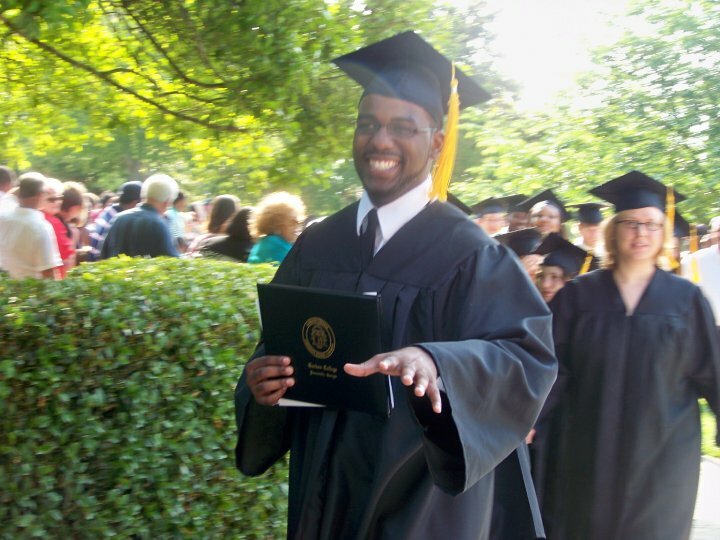 Bailey not only graduated from high school but also went on to earn his associate’s degree from Gordon College, and then attended the University of West Georgia, where he received his bachelor’s degree in early childhood education. He later earned a master’s degree in adult education from the University of Phoenix. Now 31, Bailey has worked in higher education, mentoring and advising students, and he currently is the Milliken Alumni Fellow at Communities in Schools, working on how the nonprofit can create internships for their students in governors’ offices and expose them to different career paths. Growing up, Bailey wanted to be a principal. Often having to rely on himself for food or clean clothes, Bailey said he did not really have an “American Dream,” per se. Primarily, he just did not want to struggle anymore, he recalls. But the concept meant quite the opposite a century ago. In Georgia, Bailey’s dream came true with the help of an astute teacher and diligent community worker. But increasingly in the U.S., stories like his do not reflect the norm, and this trend could continue as automation gains a foothold in the labor market. 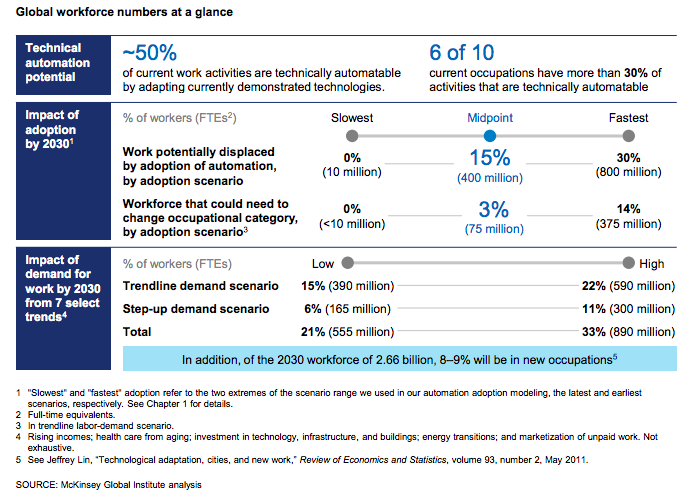 The estimates of just how many jobs will be lost in the name of technological advancement vary — a 2017 McKinsey Global Institute report suggests that by 2030, anywhere between 10 million and 800 million jobs will be displaced globally by automation — but there is little doubt that automation will certainly necessitate the adaptation of future American workers. Price Waterhouse Cooper estimated in 2017 that about 38 percent of U.S. jobs are at risk of automation by 2030. While the modern idea of the American Dream is galvanizing, it could also be a perilous one because its likelihood of realization is low. Social mobility rates in the United States are the lowest across developed countries — an American child born in poverty is more likely to stay poor than her counterpart in a similar country, according to research by the Brookings Institution. Additionally, for non-white Americans, burdens to the American Dream are even more difficult to overcome due to factors like the racial wealth gap, which can persist even after higher education is attained. And current and future students are poised to enter the most automated and fast-moving economy the country has ever seen by the time they hit the job market. So in a nation where the American Dream comes with the condition of success, the age of automation could dramatically change Americans’ ability to achieve that dream — especially if defining success misplaces the true source of happiness. Students in the U.S. today feel huge pressure to achieve their own American Dream. Psychologist and Yale University professor Laurie Santos points to research that found that elite high school students are overwhelmingly sleep-deprived and overloaded with homework. “Particularly with careers and getting into perfect colleges, I think the kinds of expectations we put on students are just unreasonable,” Santos said. Santos’s class, “The Science of Well-Being,” quickly became the most popular course on campus last year. Santos is not teaching rocket science; she’s teaching happiness and dispelling many of the myths that come with an American Dream, especially for college students at an Ivy League school. The course, now available for free on Coursera, teaches students about how our minds — and our culture — lie to us about how to attain happiness. The American education system as a whole — starting as early as middle and high school — is, in fact, potentially setting the next generation up for a disappointing future by not offering students the research behind where true happiness — and what should probably be defined as the real American Dream — lies, Santos said. An atypical American Dream might consist of wanting a successful career, money, a good education and, perhaps, a house or a family. Despite these ideals being ingrained into American society, none of these things lead to happiness, Santos teaches in her class. Santos, who is called upon to speak at high schools around the country, said she finds high school students frustrated once they hear how happiness is actually achieved. Experts in wide-ranging fields from economists to sociologists use happiness as a measure of how satisfied people are, not necessarily in a given moment but with life on a larger scale. Happiness, in other words, is not the feeling you get when someone likes your Instagram post or when you enjoy a delicious meal. Happiness, they say, is also not found in money, degrees, jobs, possessions or even true love. “The pursuit of happiness is to not pursue pleasure or gratification but rather to pursue the actual, positive emotion and the things that foster those actual positive emotions,” Christine Carter, a sociologist and happiness expert at UC Berkeley’s Greater Good Science Center, explains. In other words, pursuing actual happiness looks quite different in research than it does in the myriad books, trainings and meditations permeating American life. There is one strong finding from hundreds of studies about what the best predictor of a person’s happiness is: our connections to other people. “So if we want to find lasting joy, our best bet is to pursue real-life social connections with other people, and those connections need to be both broad and deep,” Carter said. If happiness comes from broad and deep human connection to others, automation poses a potential risk to human happiness, as it often eliminates the need for people. Santos points to simple everyday moments where automation has already swallowed up human interaction, such as the self-checkout line at the supermarket or catching up on email on a smartphone while walking. Tal Ben-Shahar, author and former Harvard “Positive Psychology” professor, said automation and happiness should go hand-in-hand, particularly because humanity still possesses creativity and emotions, which so far cannot be automated. A 2005 analysis by Sonja Lyubomirsky, Laura King and Ed Diener on happiness and success research found that “happy people show more frequent positive affect and specific adaptive characteristics,” than less happy people. In other words, happy people tend to be more successful and engaged in their work and in their communities — and they tend to have stronger relationships. A more automated workplace could open up opportunities for creativity, Ben-Shahar said. If the science of happiness is left behind in automation’s wake, however, Ben-Shahar sees a darker future. Can Innovative Rural Schools Stem the Urban Bleed? Ben-Shahar founded the Happiness Studies Academy, which offers classes that teach five research-based cornerstones of happiness, including relationships or relational well-being as well as physical, emotional, spiritual and intellectual well-being. Ben-Shahar has also been working with schools to begin teaching students the science of happiness in the classroom. Ben-Shahar started the Maytiv Center in Israel in 2010 to incorporate positive psychology into classrooms. From 2013 to 2017 researchers have studied the outcomes of the program using control groups of students who were a part of the program and those who were not. Ben-Shahar is rolling out a kindergarten through 12th grade curriculum in a handful of U.S. schools in the 2019 school year as well. The curriculum is designed to be implemented over three years to facilitate the attainment of higher levels of happiness. When Ruth Whippman, a British journalist and author relocated to the U.S. with her family in 2011, she began to notice that the American pursuit of happiness took on an interesting form, distinct from how she experienced life in England. The American Dream takes hold for even families she met at the playground, she found, as parents in the U.S. seem to manifest the idea that their children are going to be extraordinary and grow up with their “dream job” in mind. “I think we’re setting up our kids with very unrealistic expectations of what life is going to be like, and I think with this idea that everyone is going to be exceptional, we’re really taking away from the actual genuine pleasures of ordinary life and working life,” Whippman said. Whippman noticed that American culture has taken to an extreme level this idea of a child growing up to become an exceptional individual. She admits that as a parent herself, it’s a tough balance to strike — it’s hard as a parent not to want the best for your kids. “Most people will never be exceptional — that’s what exceptional means — and we’re just sort of setting people up to fail, really, if that’s the standard,” she said. In her book America the Anxious, Whippman researched and documented how the American pursuit of happiness has led the U.S. to be the most anxious country in the world, based on the 2012 World Health Organization’s rankings. For American adolescents, mental health statistics are just as dire. Psychologist and author Jean Twenge analyzed recent mental health surveys of U.S. teens and found disturbing trends. She refers specifically to the “iGeneration,” or “iGen” for short, which Twenge defines as the generation born between 1995 and 2012. 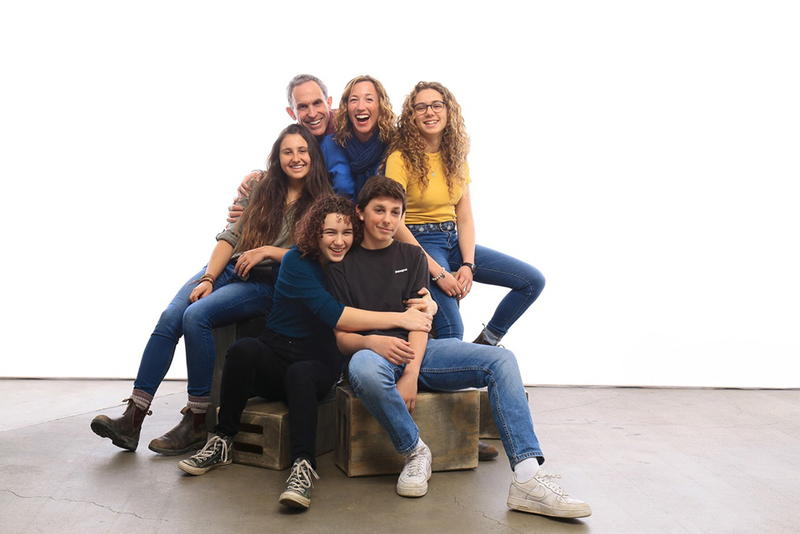 Carter, the sociologist and UC Berkeley happiness expert, is working on a book, The New Adolescence, and has four teenagers. She references Twenge’s work (including her book iGen) when she describes the coming tsunami of a mental health crisis that the next generation will face. With existing jobs threatened for the future generations, research from Yale professor Amy Wrzesniewski is like a breath of fresh air. Her research suggests a practice called “interpersonal sensemaking” at work, which focuses on finding meaning at work through certain actions and behaviors. More recently, in 2013 Wrzesniewski and colleagues published research that argues that employees can have some latitude in how they can craft meaning into their jobs regardless of exactly what that job is. “By altering task and relational boundaries, employees can change the social and task components of their jobs and experience different kinds of meaning of the work and themselves,” the study says. Equally compelling research, which Yale’s Santos uses in her class, that builds on Christopher Peterson and Martin Seligman’s classification of strengths and virtues, shows that a person’s individual strengths are important to finding value and meaning (and ultimately happiness) in a job or career — not the job itself. This is good news in the midst of a rapidly evolving job market for recent and soon-to-be graduates. Reframing jobs for students may look like a career academy based on strengths (like this one in western Nebraska) or simply connecting students to an adult who has a relationship with them, like what Communities in Schools does, which research shows is crucial for happiness. Of course, Santos notes in her online course lectures that changing our mindsets takes practice and work. Students taking the online course must track their progress and practice exercises like keeping a daily gratitude journal and “savoring” experiences. 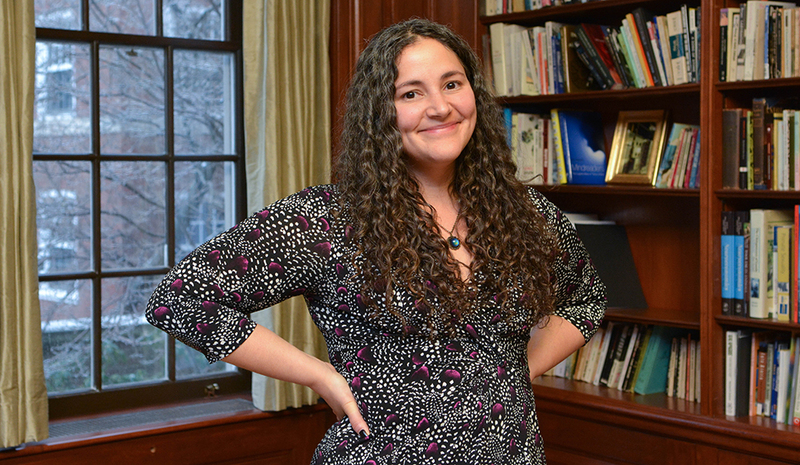 After a large portion of the student population took Santos’s course on campus at Yale, she helped create a space on campus for students to spend time with one another in a “no-work” zone so they can, instead spend time on their relationships and connections and with one another. When Bailey discusses his experience with Communities in Schools, his relationships with Cynthia, his site coordinator, and the Cofield family who eventually took him in, are the things that he believes really made the difference in his future. Cynthia and Bailey stayed in touch long after graduation, he said, and when she passed away suddenly in 2014, he spoke at her funeral. Understanding how happiness is found and then understanding ourselves (and our personal strengths) will ultimately lead to a happy life, experts say. 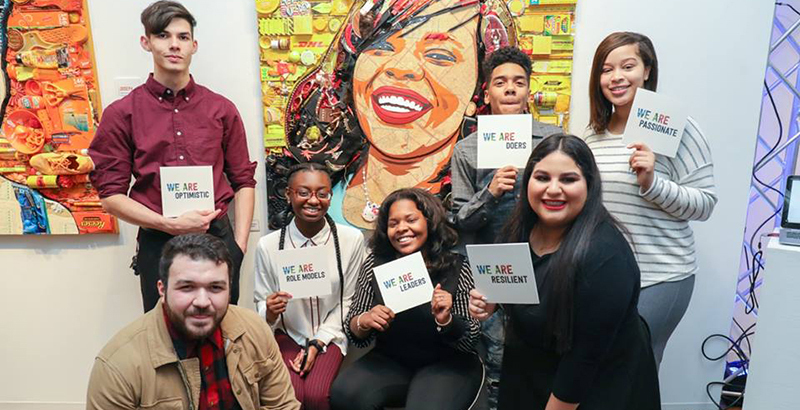 Communities in Schools does not just push students to college, because as Jefferson, an alumna of the program herself, knows, not all students have to or need to attend college. Jefferson is a first-generation college student who in 2014 received her bachelor’s degree from North Carolina Central University in Durham, North Carolina. She is now back in her former middle school, Welborn Academy of Science and Technology in High Point, where she first learned about CIS. 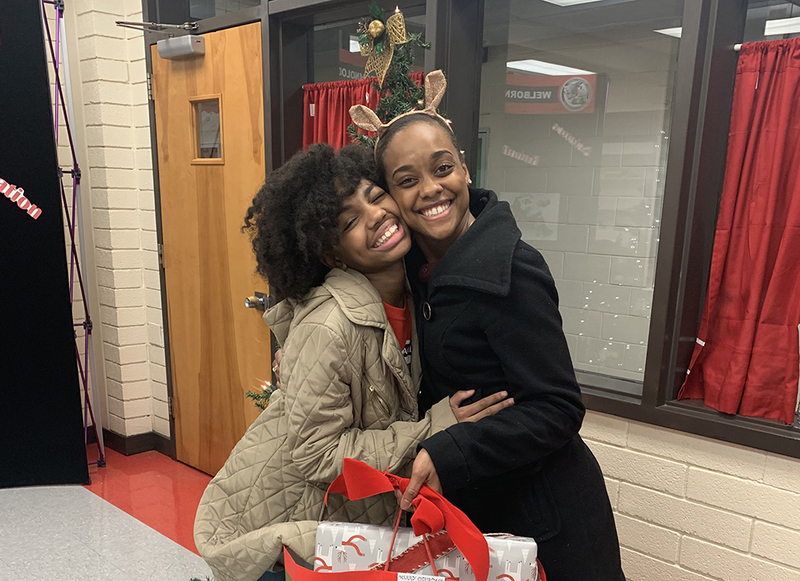 Jefferson’s connection to her CIS middle school site coordinator, Pridell McCormick, played a crucial role in her not only accessing her educational aspirations but also finding that she, too, wanted to be in schools as a site coordinator. 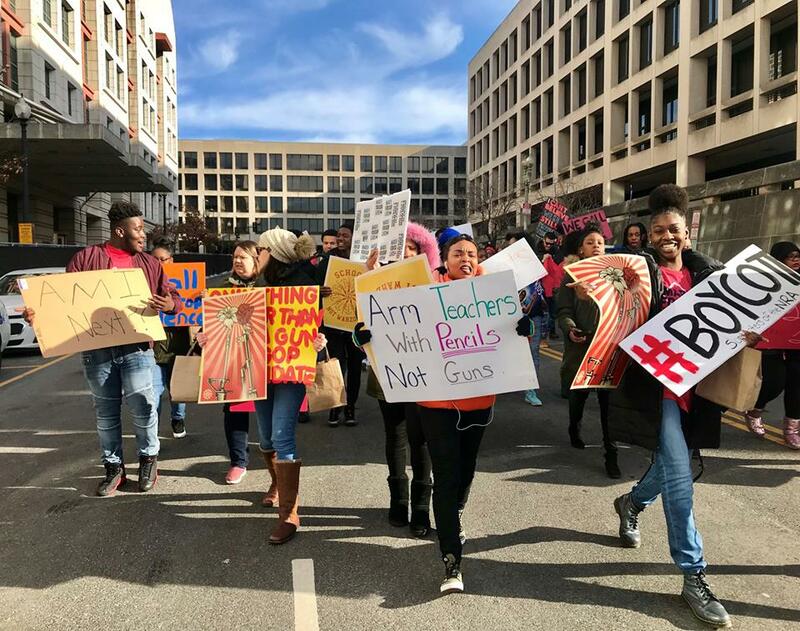 Jefferson works with many students who are on track to be first-generation college students, and she is planning to take students on a tour of historically black colleges and universities during spring break. She also will take students to the local community college to see what courses and certifications they offer. She encourages her students to further their education even if it is not a four-year degree. Who Gets to Be Happy? While money and education are not the main determining factors to find happiness, both still play a role to some degree. And education does translate into more earning power later in life. The Bureau of Labor Statistics tracks how educational attainment means a lower unemployment rate and more earnings. The unemployment rate for Americans over the age of 25 with a bachelor’s degree is 2.5 percent, while the rate is 6.5 percent for those with less than a high school diploma. 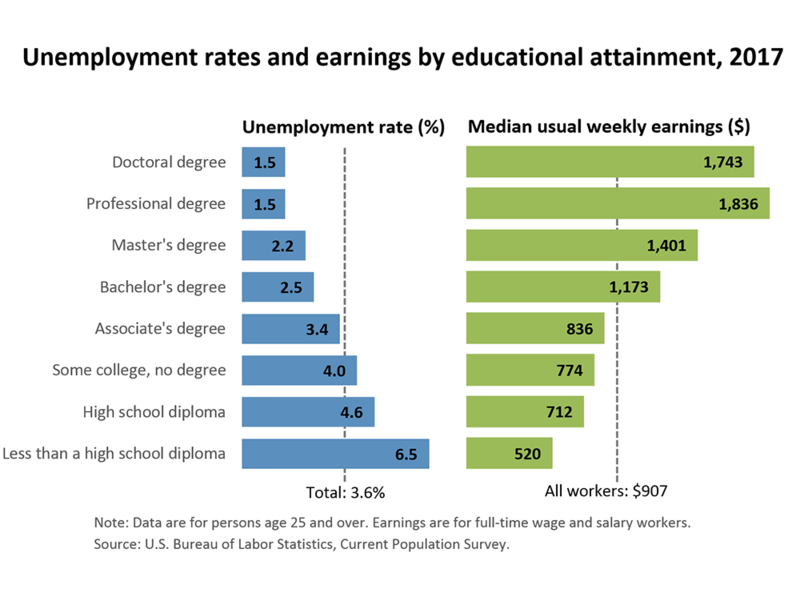 Similarly, receiving a bachelor’s degree, versus not earning a high school diploma, can mean doubling one’s earnings. Despite more education potentially translating into more earning power, money does not make a person happy — after a certain point. While there is some debate about what baseline amount of financial security leads to happiness, Daniel Kahneman’s well-known study (which Santos uses in her Yale course) shows that money makes no difference above an income of $75,000. While this baseline might be freeing for some Americans, it’s a telling figure for others. Or as Whippman writes in her book, “what Kahneman’s research shows is that money makes a big difference to all measures of happiness up to an income of $75,000,” earnings greater than what the majority of Americans are taking home. In 2017, 58.3 percent of American households made less than $75,000 in income, U.S. Census Bureau data show. The median household income in 2017 is estimated at $61,372, although white households averaged more income than Black- and Hispanic-led households, Census Bureau data show. The median income for Black households in 2019 was $40,258 and $50,486 for Hispanic households. So for many Americans, money could mean happiness simply in terms meeting basic needs or feeling comfortable to support family members. Whippman looks to psychologist Abraham Maslow’s work as a guide. 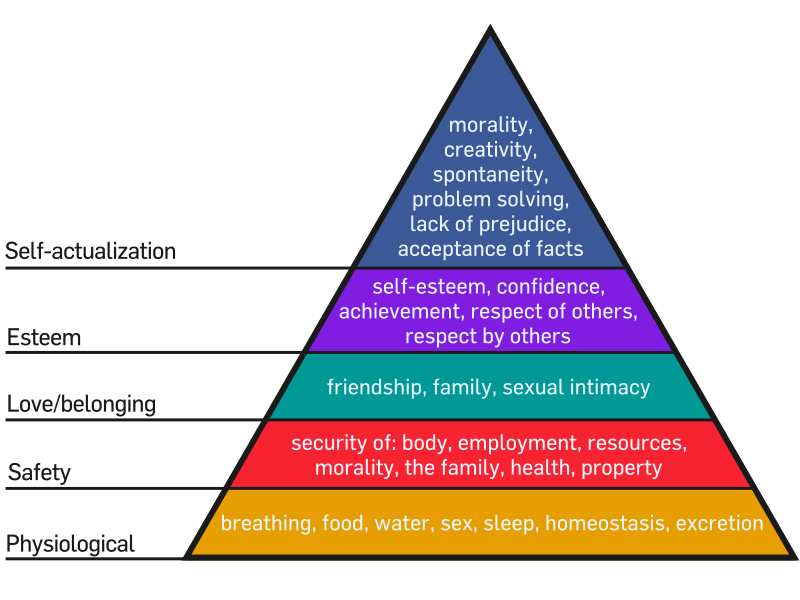 In 1943, Maslow published his “Theory of Human Motivation,” now often colloquially called Maslow’s “Hierarchy of Needs.” His theory is often portrayed as a pyramid, starting with a base of physiological needs — food and water. The next level of the pyramid is safety, shelter or security. Interestingly, love and esteem (which seems to translate to human connection, also known as the best predictor to real happiness) sit in the middle of the pyramid. Self-actualization is at the top. While Maslow did not expect his theory to be understood in absolutes, he acknowledged the ascent of the hierarchy is possible. Whippman, who attended a conference last year based on Maslow’s views, sees the hierarchy of needs as a way to help explain why the American pursuit of happiness as an individualistic journey is not working. “It used to be self-actualization was the tiny bit at the top, when you had all the other things in place… but we’ve turned the thing on its head, and we’re trying to balance on this pyramid of having self-actualization without having any of the other things in place,” she said. But this happiness disparity as a condition of wealth is starkest in the United States. Carol Graham, an economist and University of Maryland professor, has found wide gaps in happiness levels between the rich and the poor in the U.S. 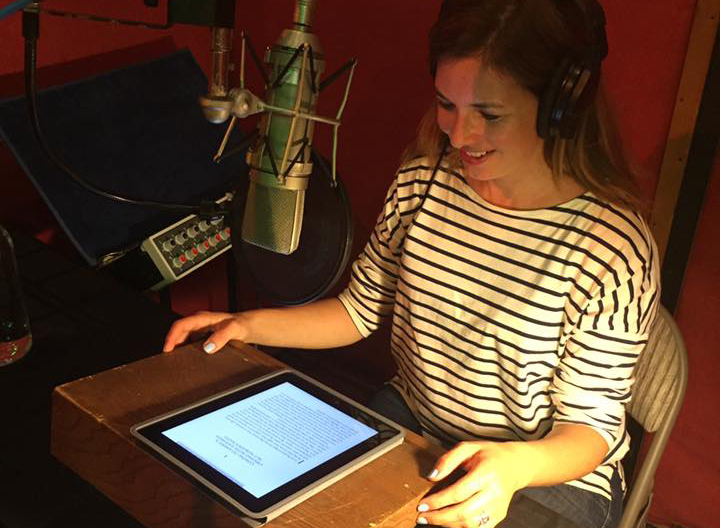 In her heavily researched book Happiness for All? Graham found that the gaps between how the rich and the poor in the U.S. experience happiness, as well as hope in the traditional American Dream, were double the happiness gaps between rich and poor in Latin America. While the national poverty rate has decreased in recent years and is now at 12.3 percent, the U.S. Census Bureau reports that in 2017, 39.7 million Americans are in poverty. When asked the classic American Dream question about believing if hard work will get one ahead or not, Graham said there were large gaps between how the rich and the poor responded. Conversely, the rich in the U.S. overwhelmingly believe that hard work will get them ahead. Essentially leading to a gap in who believes the American Dream is achievable. “It’s interesting that it’s only the rich that believe in the American Dream, roughly speaking,” Graham said, referring to Melvin Lerner’s just-world hypothesis as a possible explanation. Applied to the American upper class, Lerner’s hypothesis suggests that if you’re doing well, you want to believe you live in a fair society. Increasingly, the gaps between the rich and the poor in the U.S. are widening, Graham found as she analyzed research in her book. Countries that have smaller gaps between the rich and the poor — or less income inequality — are happier. In research for his book The Political Economy of Human Happiness, Benjamin Radcliff analyzed what makes certain countries happier than others and found that democratic socialist countries, like western European countries and those in Scandinavia, are both happier and more equal in wealth distribution than the U.S. These countries also tend to have larger safety nets for their country’s poor, providing assistance with health care, food and shelter. Radcliff argues that democratic socialist governments do a good job of providing the basic needs found at the bottom two levels of Maslow’s hierarchy of needs: ensuring people have food and shelter. Americans theoretically support these kinds of governments. Michael Norton and Dan Ariely conducted research, published in 2011, to test Americans’ view of income inequality and wealth distribution. Using unlabeled pie charts, they found that Americans prefer Sweden’s income distribution (which is split into five pie pieces, with the largest slice at 36 percent) to our own. Norton and Ariely also found that despite how much Americans grossly underestimated how unevenly income is distributed in the U.S., all respondents — including the wealthy — showed a desire for more equal wealth distribution. Norton and Ariely note that these findings do not necessarily transcend to the political realm of society, however. With both technology and American culture seemingly working against the truth of what makes people happy, educators can and must play a major role in students’ lives as they advise them on the decisions they make at a young age about their futures, Ben-Shahar said. Schools and educators have the ability to go beyond what students say they want to be when they grow up, he said, helping them lead a healthier life and engaging them to deal with positive and negative emotions beyond schoolwork. Santos added that it is time to start dispelling the “perfect college” myth — the idea that young people are “messing up” if they don’t attend an Ivy League school or get the perfect summer internship or job. Santos also believes it’s necessary for the next generation to lead a “young-person revolution” that begins to flip these cultural norms. “My sense is that there’s been this arms race about career preparedness or college preparedness that’s just crazy, [and] we can’t continue on that path … something has to give,” she said. For companies interested in their employees’ happiness, the coming age of automation means a re-evaluation of what people actually need to be happy. Whippman found in her research that some companies that push happiness or mindfulness trainings were actually anti-union or did not offer the positive employment benefits that are known to lead to happiness at work. Whippman found research as she wrote her book that shows union workers are happier than non-union workers, even after controlling for pay. A study published in 2016 found that union membership actually boosted life satisfaction. Radcliff’s research reflects similar ideas, and he believes the inherent conflict between the market economy and equality is the question at the heart of politics. “Are we going to just let the market run along, leaving people in its wake destroyed while it leads toward general progress? Or are we going to use the power of government to intervene in the market to introduce ideas about justice and equality which are absent from the market?” he said. “If people have no expectations for the future — they don’t believe in it — they’re not going to invest in it, and that’s going to apply to their children, so that applies to the next generation,” she said. Not all hope for happiness should be lost — just yet, experts say. But if the pursuit of true happiness is something that Americans continue to value in their personal lives and the leaders they elect in all levels of government, changes loom ahead. That research provides an opportunity for educators, like Santos and her packed course at Yale, to step in and help students change that trajectory for the better. Ultimately, deconstructing the very ideas on which our “American Dream” are founded — in favor of what research says truly makes us happy — is not a simple lesson to teach, nor an easy pill to swallow, for an American culture so obsessed with the opposite. It will take diligent, persistent work by educators — preferably early in students’ lives — to reverse the mindset that a piece of paper, job or salary will lead to a happy life. Even in the short period after teaching the hugely popular course, Santos has seen some results. One senior who took her class has since graduated and is now in her first full-time job. She wrote to Santos recently. She took the lowest-paying job offer she received, largely due to what she learned in Santos’s course. Disclosure: This essay is part of a series of Future of Work stories sponsored by Pearson exploring how automation and evolving economic forces are impacting education from kindergarten through college.